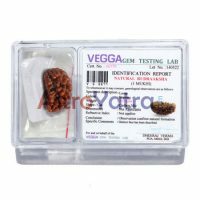 Rudraksh mala is considered very lucky to wear. It is also used for meditation and chanting mantras. 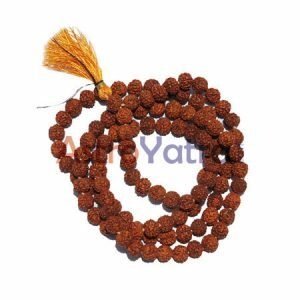 Mostly old people in our India use this Rudraksh mala for chanting, because they feel relax when they use is Jap mantras or chanting. From the ages Rudraksh rosary has been worn by saints and sages to attain religious attributes. Power of this rosary greatly influenced Buddhism and other religious conviction. This is worn by those desiring good health, happiness , mental peace, good concentration, religious clarification, brave life, desirability, and any other spiritual put on. It is also known as Japa mala because it is used to chanting. Rudraksh mala is worn by different numbers accordingly body parts like head, wrist, neck, arms, stomach, waist to obtain special siddhis. This item is packed in valvate box, no service tax, and shipping charge is also included.